Sustanon 250 has been highly regarded in the bodybuilding community for a very long time but its benefits over single testosterone esters have been oversold. Sustanon 250 may very well be the best known type of injectable testosterone. It actually contains four different esterified versions of testosterones i.e. testosterone propionate, testosterone phenylpropionate, testosterone isocaproate and testosterone decanoate. Organon formulated Sustanon 250 in the 1970s. Sustanon 250 was first formulated by the multi-national pharmaceutical company Organon in the early 1970s. The Sustanon mixture contains a total of 250 milligrams of testosterone esters in the following amounts: 30 milligrams of testosterone propionate, 60 milligrams of testosterone phenylpropionate, 60 milligrams of testosterone isocaproate, and 100 milligrams of testosterone decanoate. 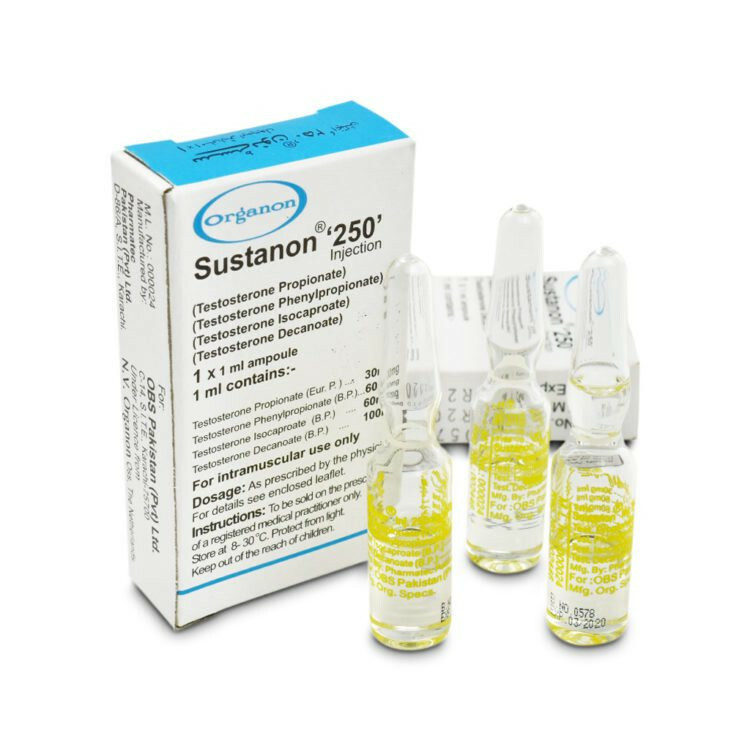 Organon developed Sustanon 250 as a new hormone replacement therapy option purported to be better than existing single-ester options. 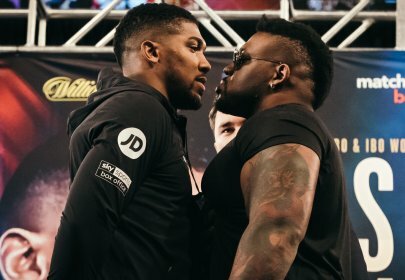 Organon claimed that Sustanon 250 was capable of maintaining a more sustained and steady serum level of testosterone than single ester of testosterone like cypionate or propionate. Sustanon 250 was formulated with a blend of short-acting, medium-acting and long-acting testosterone esters with varying half-lives. The elimination half-lives of testosterone propionate, testosterone phenylpropionate, testosterone isocaproate and testosterone decanoate following an intramusuclar injection are 0.8, 1.5, 4.5 and 7.5 days, respectively. The myth of Sustanon 250 as the superior testosterone. The mythology surrounding Sustanon had its origins in the 1980s and 1990s. 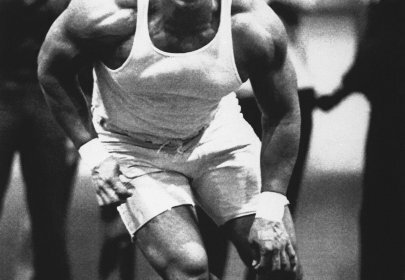 Bodybuilding gurus promoted the belief that Sustanon was a superior form of testosterone. Sustanon was widely thought to provide greater results and fewer side effects than an equivalent dose of testosterone cypionate or enanthate. Popular steroid handbooks of the time, such as Bill Phillips’ Anabolic Reference Guide and Dan Duchaine’s Underground Steroid Handbook, promoted the superiority of Sustanon over other forms of testosterone. Bill Phillips claimed there was a special synergy between the 4 testosterone esters. This made it possible for testosterone “to be recognized by the steroid receptors for longer periods of time than other testosterones”. In addition, Sustanon users could use less Sustanon than other testosterones and obtain great results with fewer side effects. Dan Duchaine similarly promoted the belief that Sustanon resulted in less aromatization and less water retention than similar dosages of other testosterone esters. Duchaine’s observations were based on the anecdotal experiences of bodybuilders. 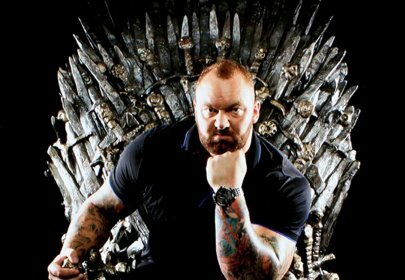 The bottom line is that testosterone is testosterone. The Sustanon’s superiority myth persists even into the present-day. The truth is that there is really nothing special about Sustanon over other forms of testosterone for athletes and bodybuilders. Bodybuilders who are using Sustanon obtain no real benefit over bodybuilders who are injecting testosterone cypionate and enanthate on a weekly basis. The different esterified versions of testosterone only influence the rate of entry into the body and the drug’s half-life. Once testosterone is released into the bloodstream and steady serum levels are achieved, Sustanon does not offer anything more than any other form of testosterone. The practical use of Sustanon 250 by bodybuilders. The prescribing recommendations for Sustanon 250 in hormone replacement therapy call for the intramuscular injection of 250 mg/ml (one ampule) every 2-3 weeks. However, the use of Sustanon 250 for muscle-building purposes is obviously quite different. Sustanon 250 can be used similarly to any other testosterone ester in a 10 to 12 week testosterone-based cycle. Conservative cycle – 500 milligrams per week. The minimum recommended weekly dosage level is 500 milligrams for most bodybuilders. This is a good starting level for beginners and conservative steroid users. The performance-enhancement benefits and muscle gains are generally good at this level. Most individuals will not experience significant side effects at this level. Some side effects, like testosterone suppression, are unavoidable but other side effects like altered lipid profiles are typically not very dramatic. Most users won’t even need to use any ancillary drugs, like AIs or SERMs, to manager E2-related side effects at this level. Intermediate Sustanon 250 cycle – 750 milligrams per week. More experienced bodybuilders can see more results by increasing the dosage level to 750 milligrams of Sustanon (3 x ampules) per week. As the weekly dosage increases, the side effects increase as well. But they are still manageable at this level. The use of aromatase inhibitors (anastrozole), selective estrogen receptor modulators (tamoxifen), and/or alpha-2 reductase inhibitors (finasteride) may be indicated. At the very least, it is good to have these ancillary drugs on hand. Advanced Sustanon 250 cycle – 1000+ milligrams per week. 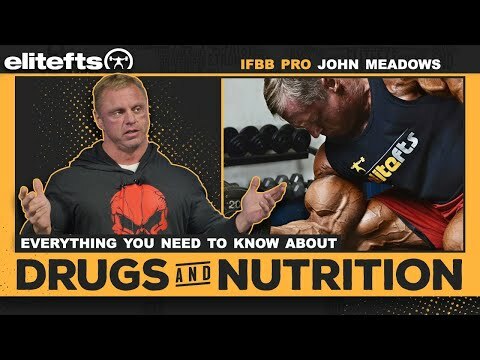 The worst kept secret in bodybuilding is that increasing the dosage level of steroids generally facilitates more muscle gain. There is no need for novice or intermediate steroid users to use such high dosages. But advanced bodybuilders who have reached a plateau could see renewed growth by pushing Sustanon 250 dosages to the 1000 mg/week level and beyond. Bodybuilders following this dosage level are more likely to experience E2- and DHT-related problems. Aromatase inhibitors (AIs) such as anastrozole (Arimidex) and letrozole (Femara) are mandatory. Testosterone esters are the safest of all anabolic steroids. It is true that testosterone is the safest of all anabolic steroids especially when used in moderate dosages. This should not lead to the belief that high-dosage testosterone cycles can be healthy. Many testosterone-related side effects can be prevented. But many can not. All anabolic steroids, including testosterone, can have adverse cardiovascular side effects when used at supraphysiologic dosages. These adverse effects include short-term (and usually transient) changes in lipid profiles. High-dosage testosterone cycles can lower the ‘good’ HDL cholesterol levels, increase the ‘bad’ LDL cholesterol levels, and increase triglycerides just like any other synthetic steroid cycle. The chronic use of supraphysiological testosterone dosages can lead to elevated blood pressure, endothelial dysfunction and left ventricular hypertrophy (LVH). This may increase a user’s risk of experiencing a myocardial infarction (MI) or suffering from cardiovascular disease (CVD). 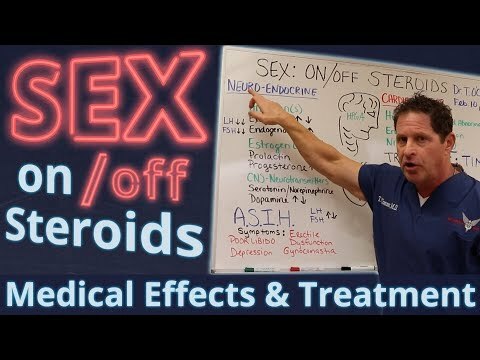 Anabolic steroid induced hypogonadism (ASIH) happens 100% of the time with effective steroid cycles including testosterone-based cycles. The ASIH severity depends on the dosage level and the cycle length. ASIH is generally reversible after the discontinuation of steroids. Full HPTA recovery of testosterone production usually takes places after a couple of months following the end of steroid cycle. The recovery can be expedited with the use of a well-planned post cycle therapy (PCT) protocol.